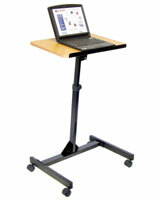 This Laptop Notebook Stand is Ideal for Tradeshows! This Display has a Curved Steel Base! 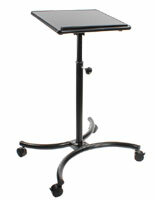 This Laptop Notebook Stand is a Great Desk or Lectern! 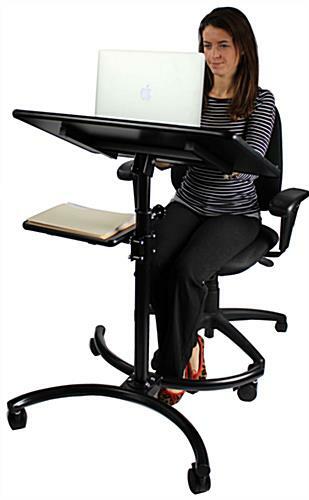 Tilting surface promotes ideal working or typing angle. 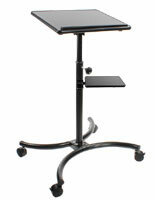 Height adjustable for use as desk or lectern. Curved black steel base nicely meshes with any decor. This laptop notebook stand is an affordable display for retail use. This mobile display has four caster wheels. Two of the wheels on this laptop notebook stand are locking, allowing users to make this display mobile or stationary as needed. The large work space makes this display convenient for a wide variety of different uses. 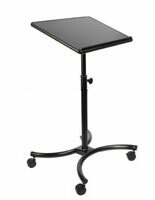 Each black laptop notebook stand has a 28" x 18" workspace, great for keeping a portable computer and other notes or equipment. The lip at the bottom prevents items from sliding off. This laptop notebook stand that is mobile has a stationary shelf as well. 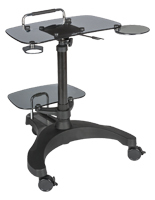 The hieght adjustable shelf is easy to clamp to the base pole. 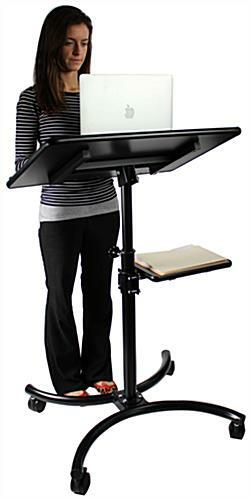 This height adjustable laptop notebook stand is great for presentations as well. 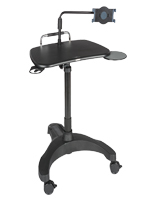 The display can be raised up to use it as a lectern, and utilize the lower shelf as storage. Also place multimedia devices such as projectors on this display. Each laptop notebook stand that has a matte black finish meshes with any furnishings. 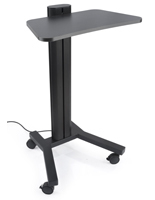 The steel base and MDF surface are ideal for residential or business settings. 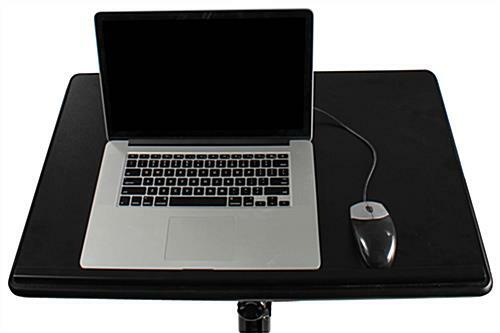 This mobile desk, laptop notebook stand has a curved design at the bottom of the base. 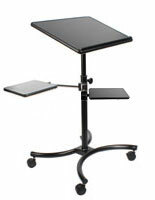 Improve any personal office, cubicle or trade show setup instantly. 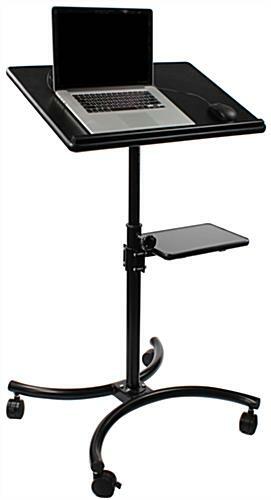 Each laptop notebook stand that has a stationary shelf is an affordable option that will give customers a stand with the versatility they need.